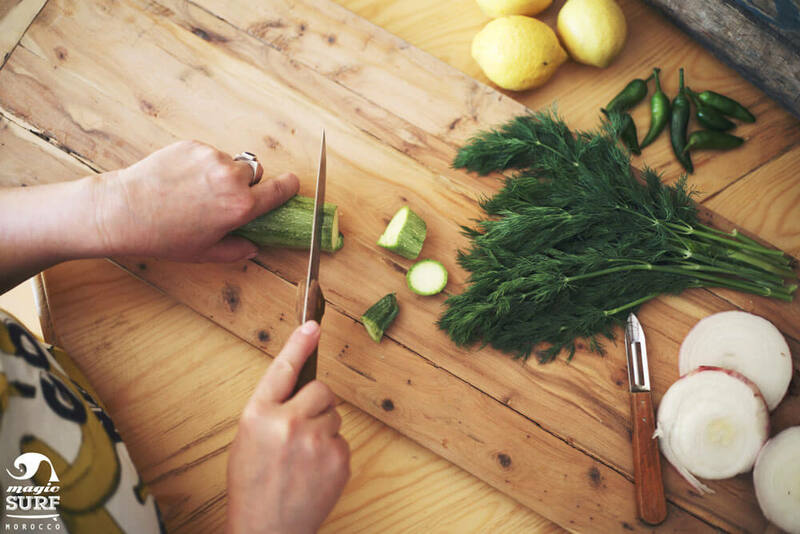 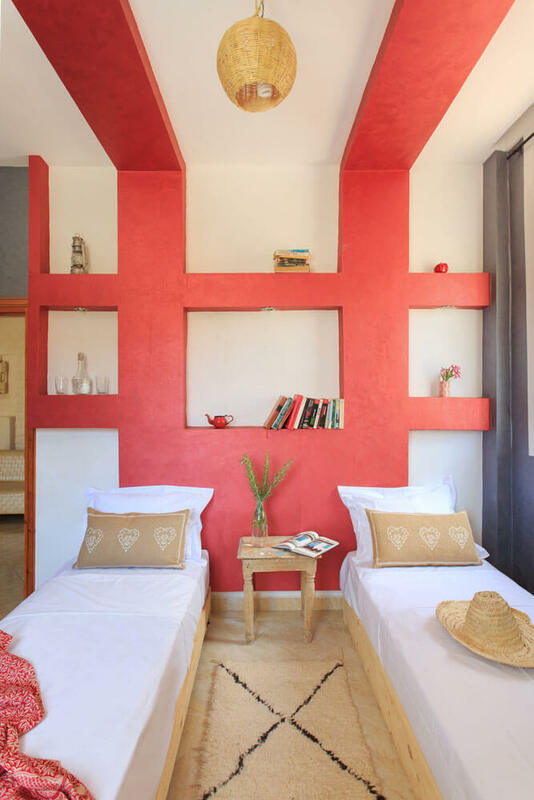 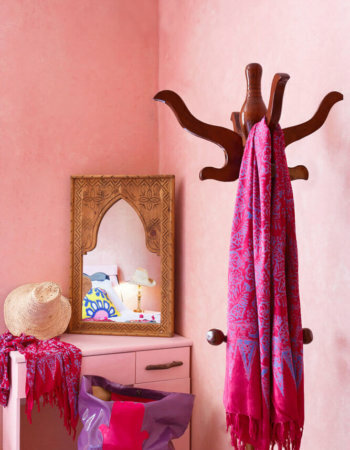 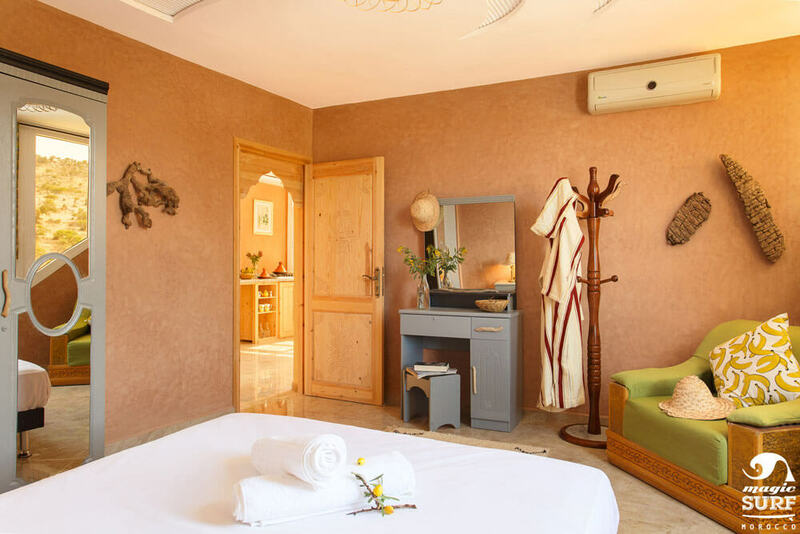 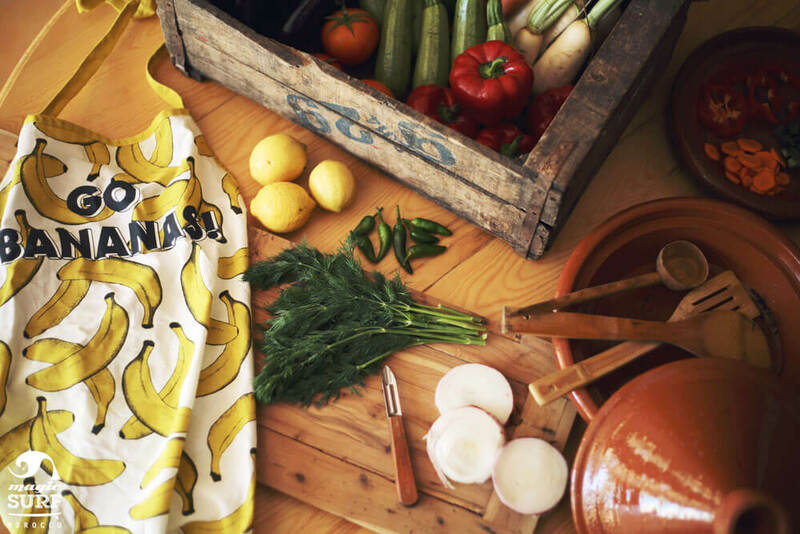 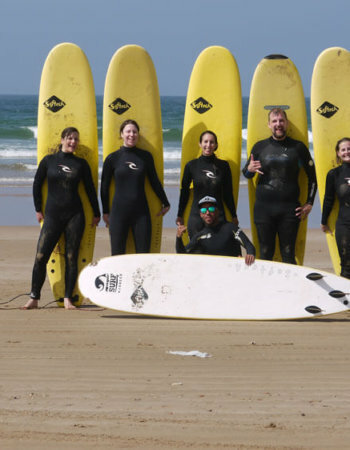 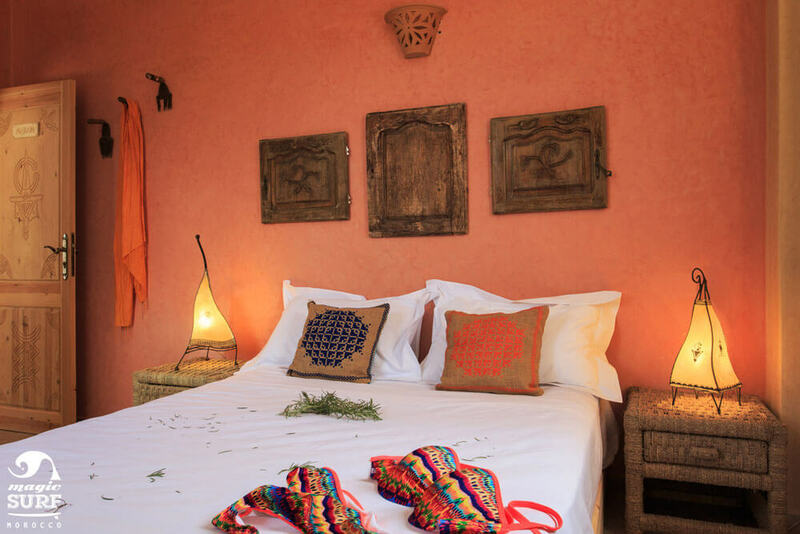 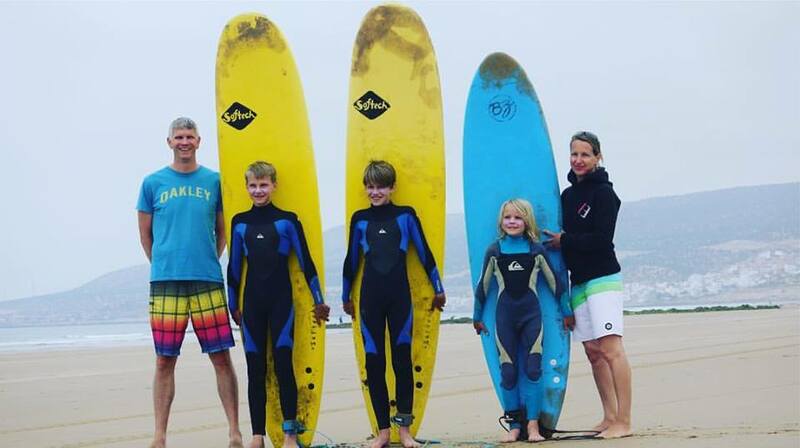 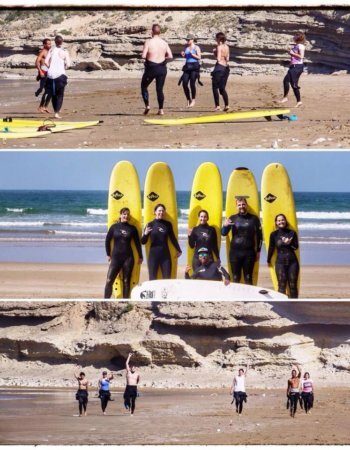 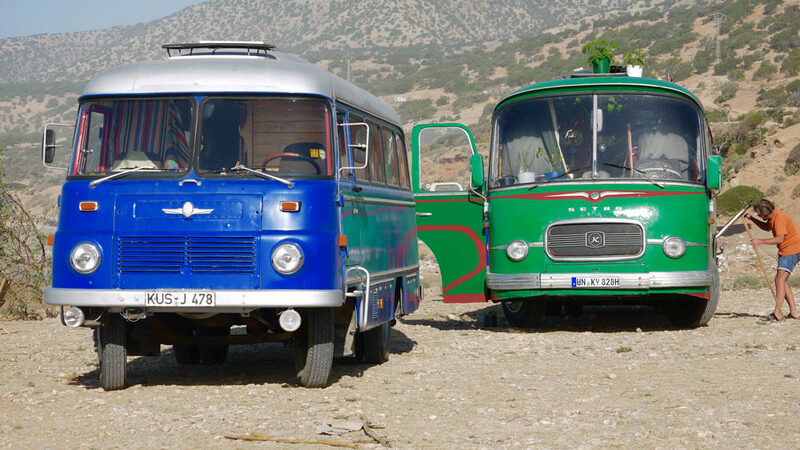 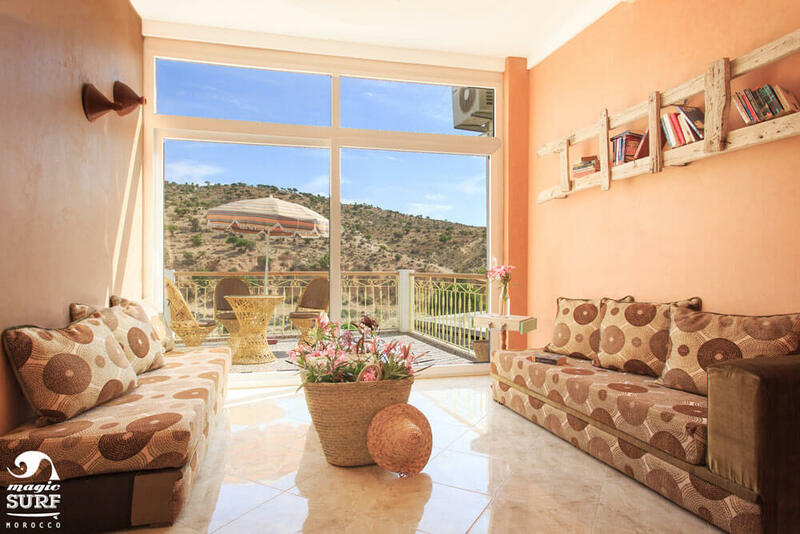 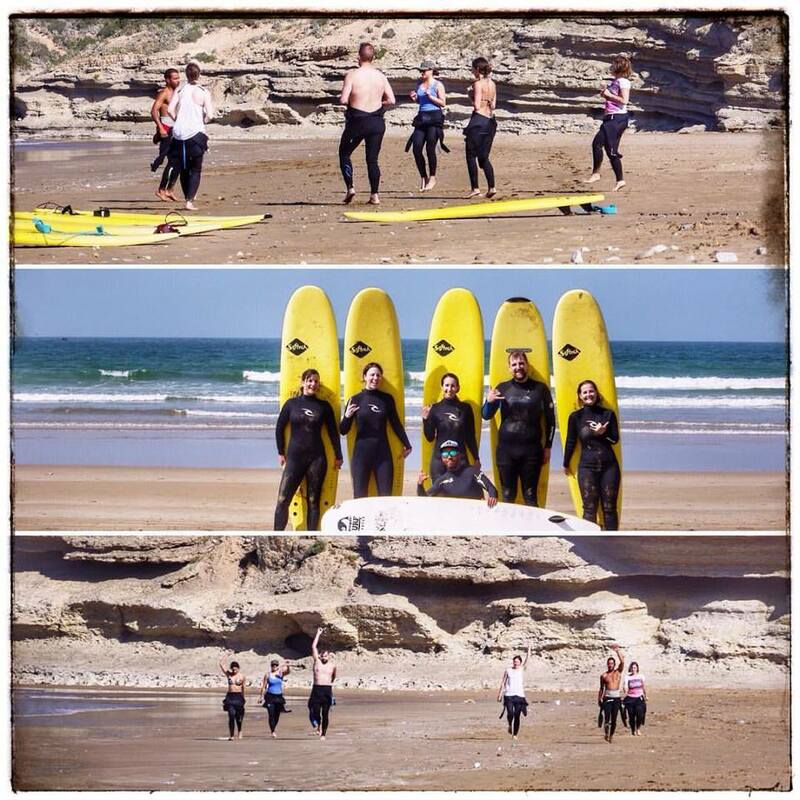 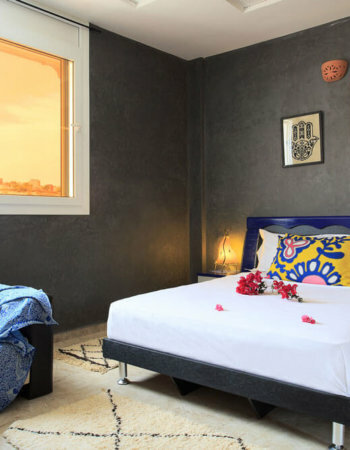 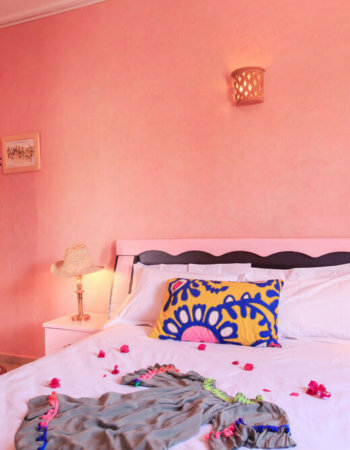 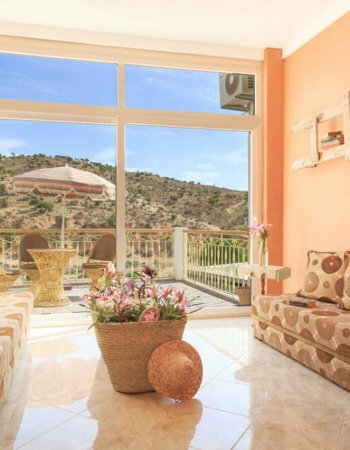 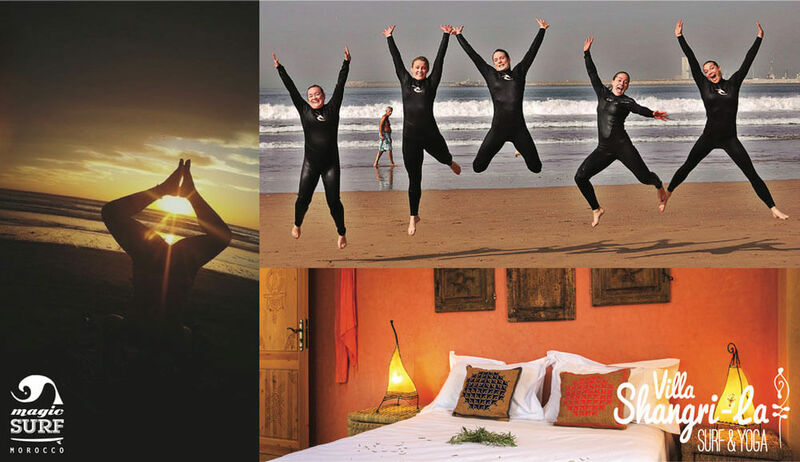 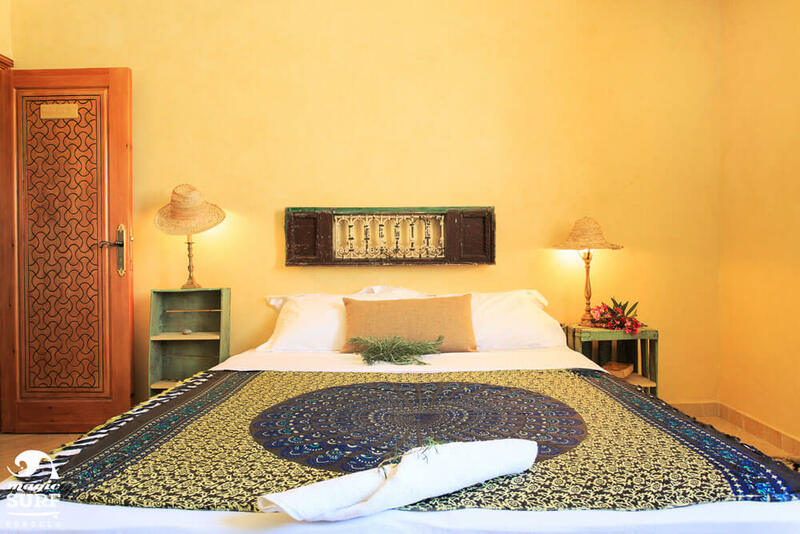 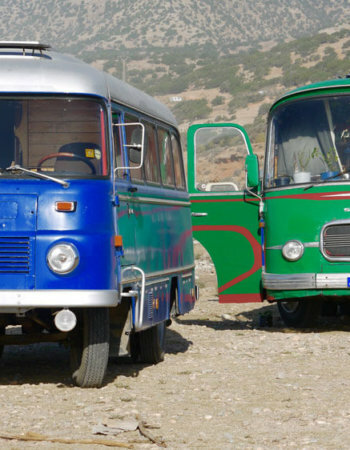 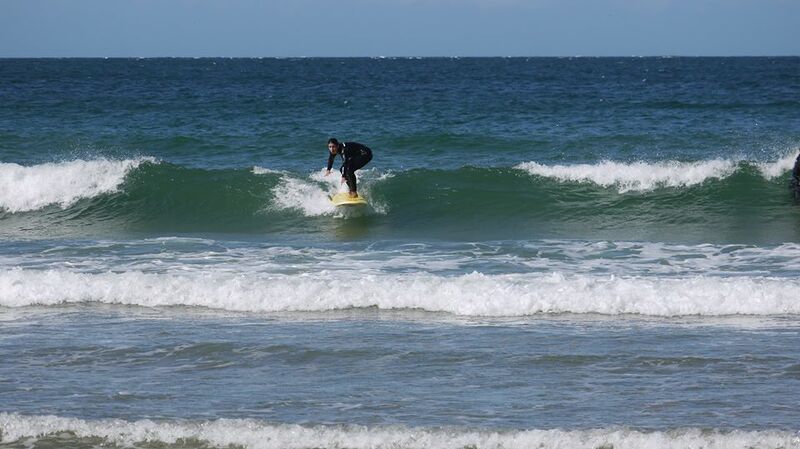 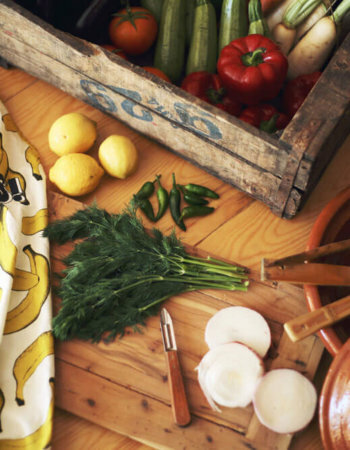 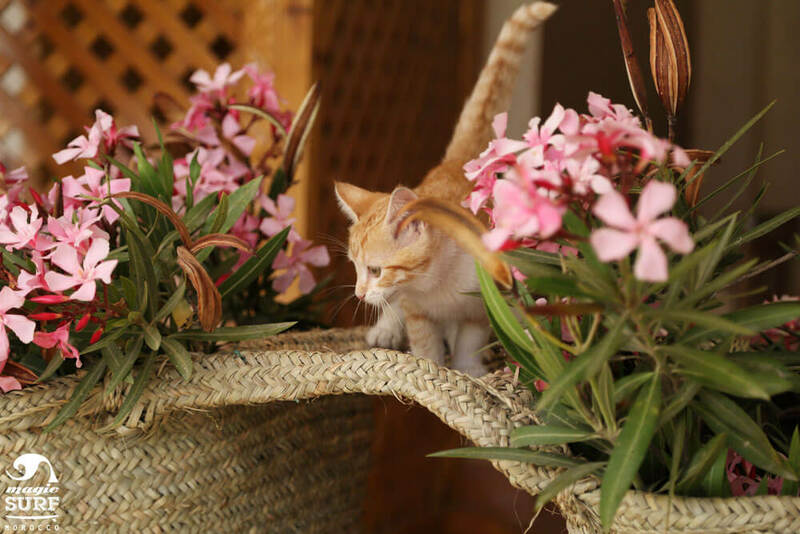 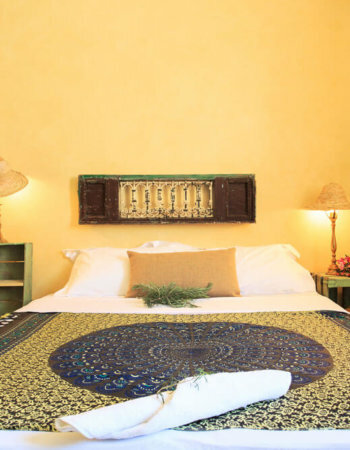 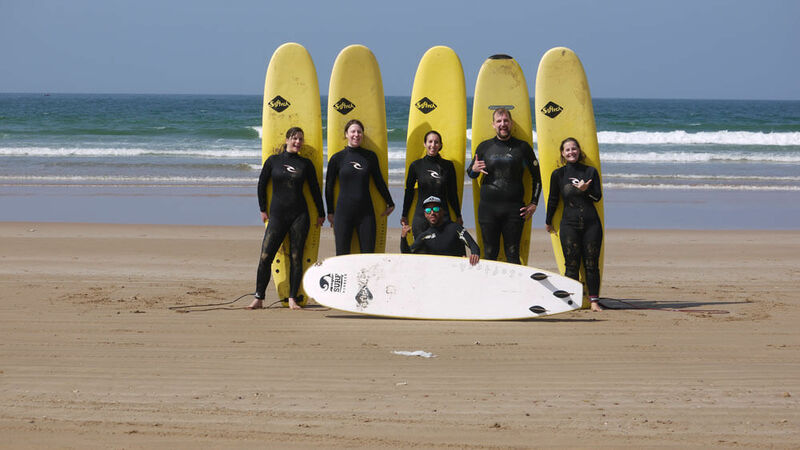 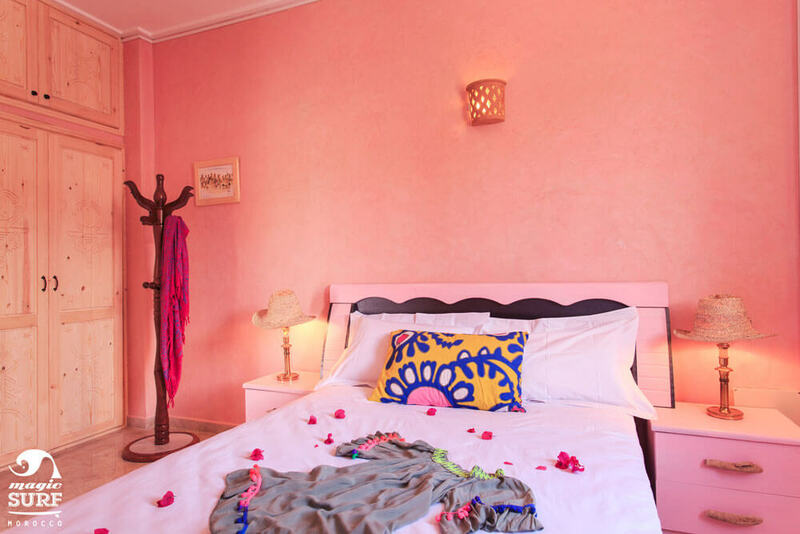 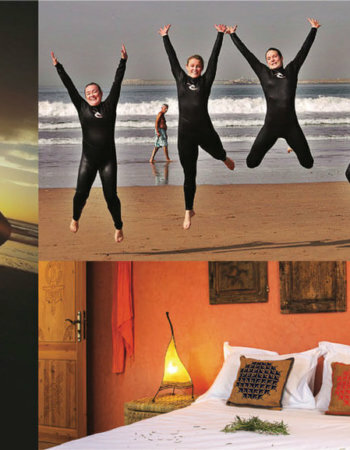 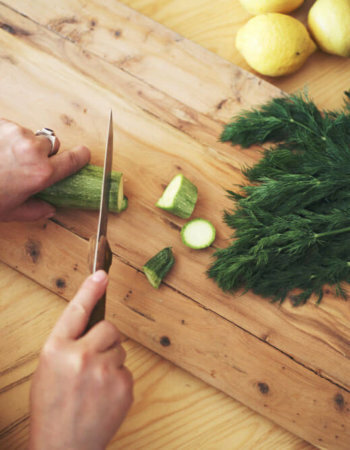 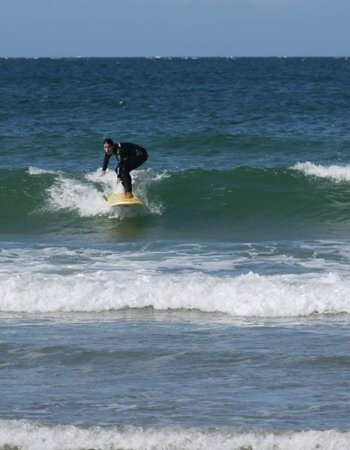 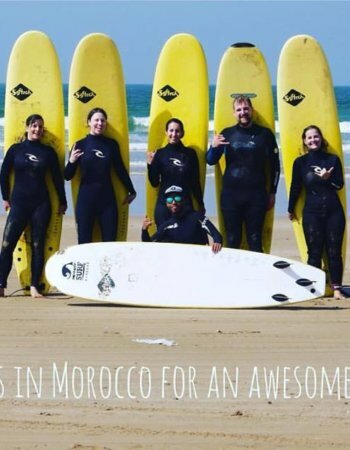 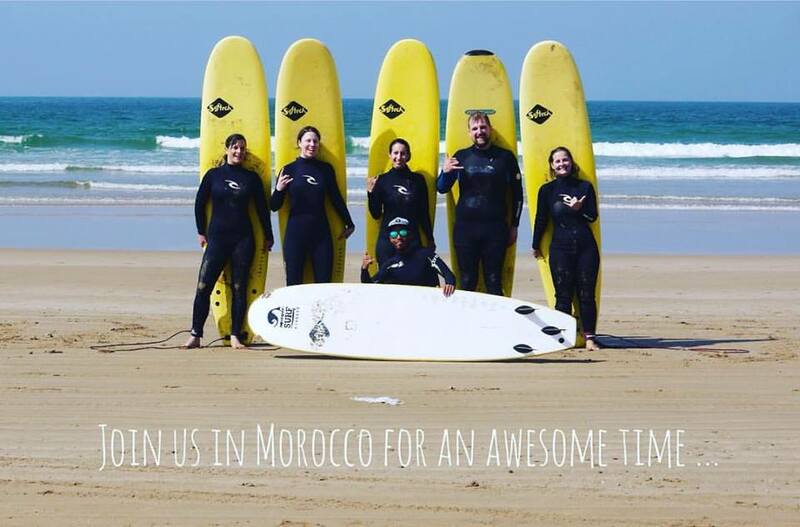 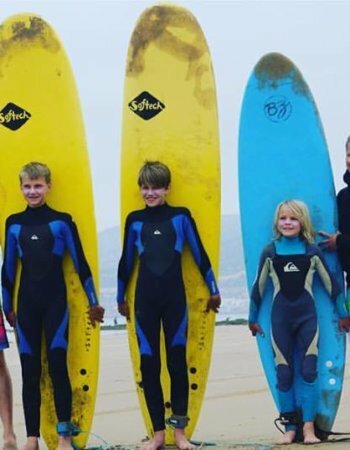 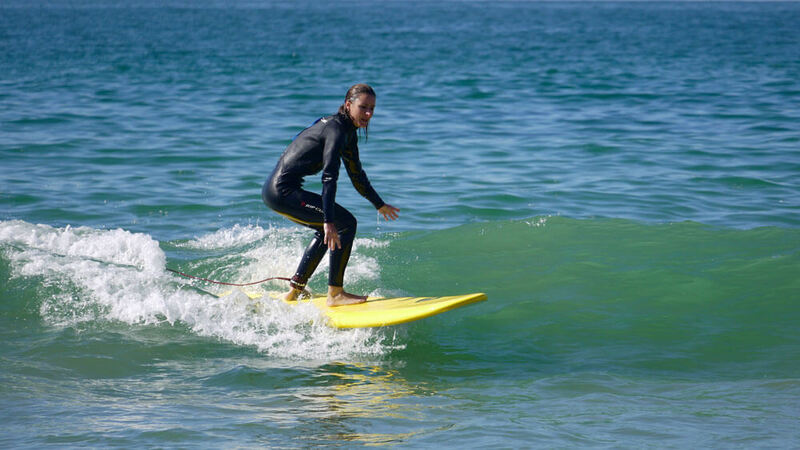 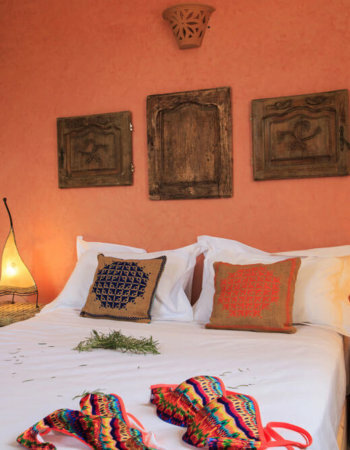 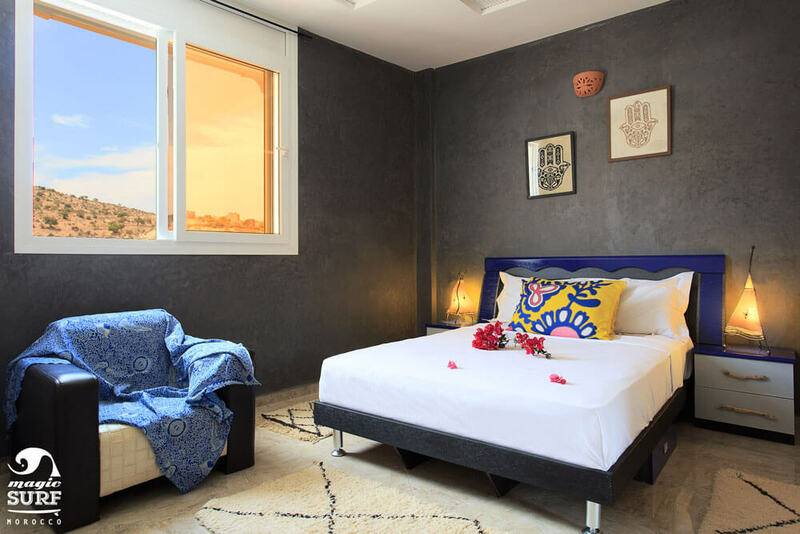 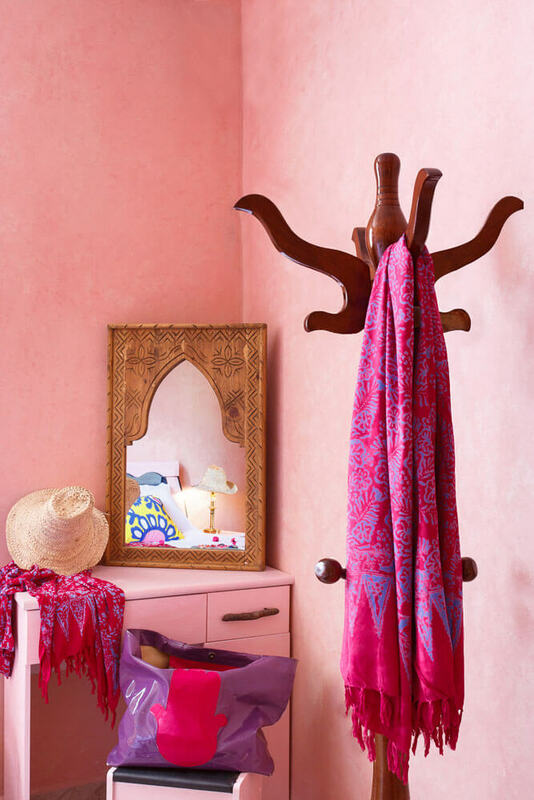 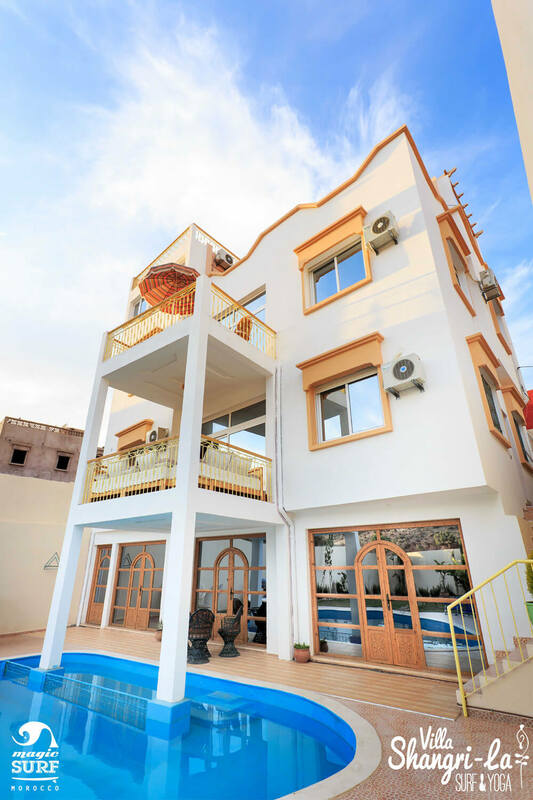 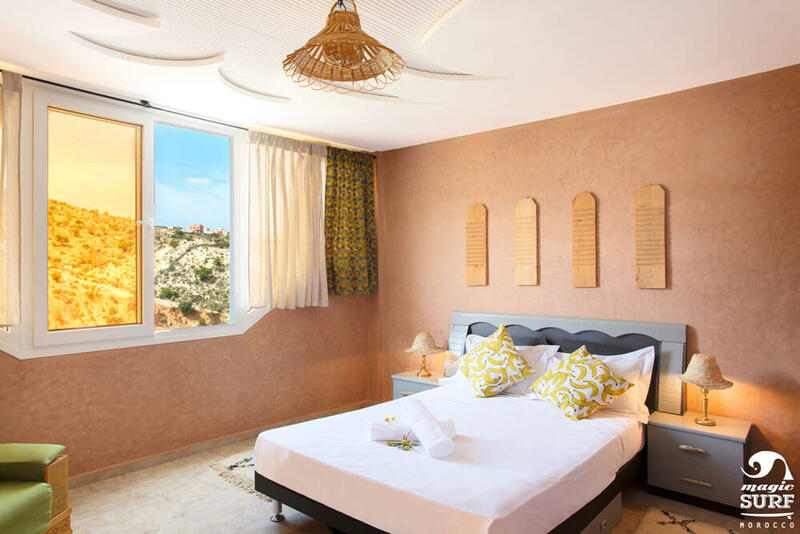 Villa Shangri-La, Surf & Yoga, by Magic Surf Morocco is located in the authentic Berber fishing village of Aourir (Banana Village) at just 5 km from Taghazout, 1 km from Tamraght and 14 km from Agadir and 40 km from its international airport. 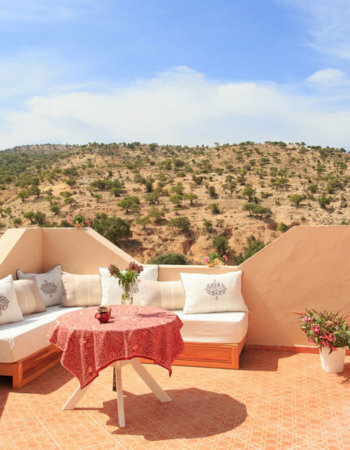 It is a quiet retreat, an oasis, far away from the cities hustle and bustle where you can treat yourselves to a relaxing, healthy but yet sporty holiday: surfing, yoga, sunbathing by the pool, learn how to cook traditional Moroccan dishes such as tajine, rfissa, couscous, enjoy traditional Moroccan hammam, argan oil massage, and much more, and wake up every day seeing your stress just flowing away! 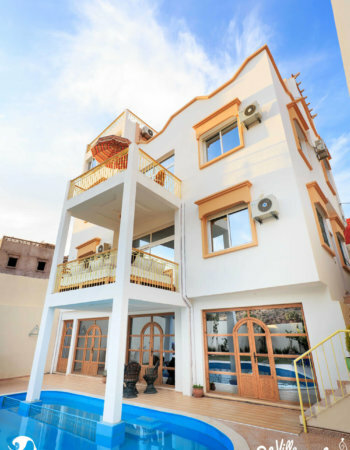 Villa Shangri-La, Surf & Yoga, is a stunning, recently built, 3 stories villa with 6 bedrooms fully equipped for your comfort: private shower and toilets (either inside or just outside the bedroom), bed linens, bath towels, air conditioning, heating and garden / swimming pool / mountain views from each room.From the rooftop terrace, you’ll enjoy both amazing Moroccan countryside and ocean views. 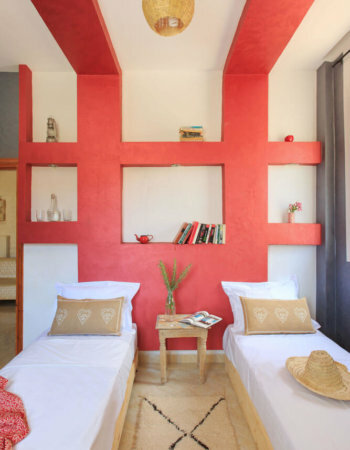 There are small lounges on each floor with sofas and balconies. 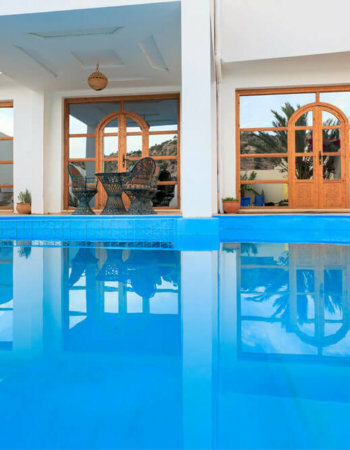 On the ground floor, the communal eating and chilling out area opens onto the swimming pool and the garden.